Q: How can I change the paper size in a document? Document -> Rearrange Pages -> Resize Pages. Note: The Resize Pages dialog is also accessible from the mouse menu on page thumbnails. 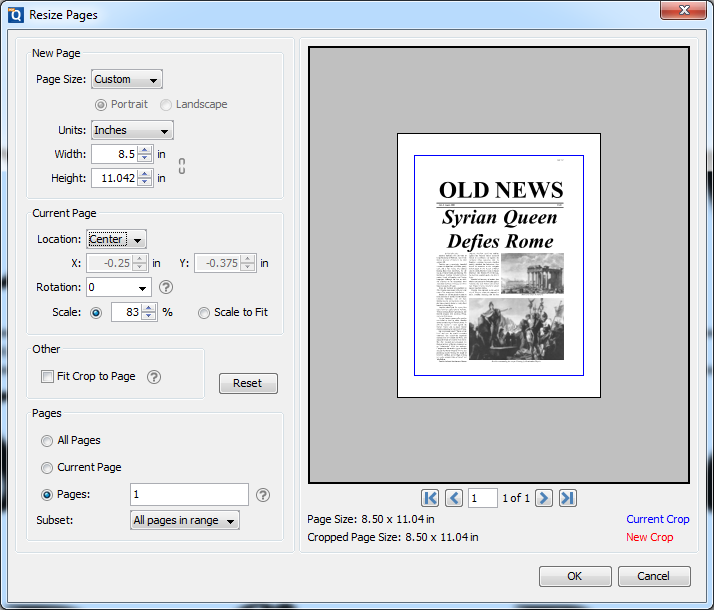 In the Resize Pages dialog, you can select standard paper size for the new page size or set a custom page size. You can also change the width, height, rotation, and position the current page within the new page… All the changes will be displayed in the preview area. The blue box in the preview is the original crop box from the document and the red box is the new crop box that will be applied when the page is resized. There is no Page Resize function available in PDF Studio 11 and below. 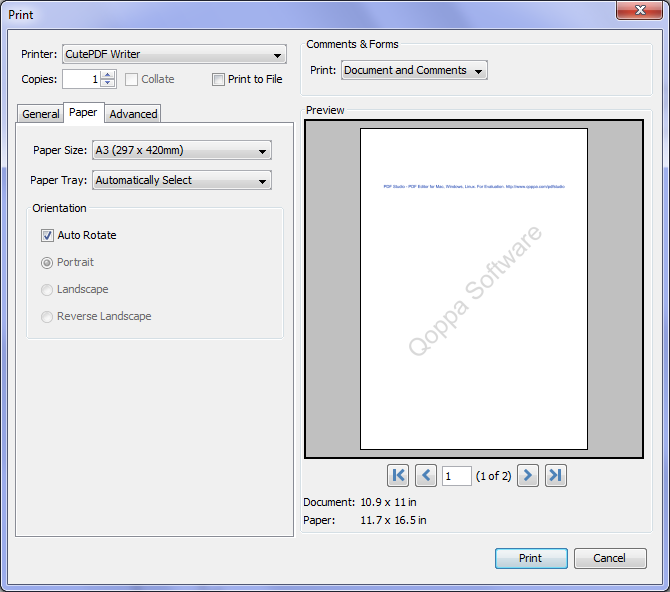 As a workaround, you can print the document to a PDF document with a different paper size using a PDF Printer. Go to File -> Print. Under Printer drop-down box, select a PDF Printer (for example: CutePDF printer). Read this knowledge base article for more information regarding PDF printers. 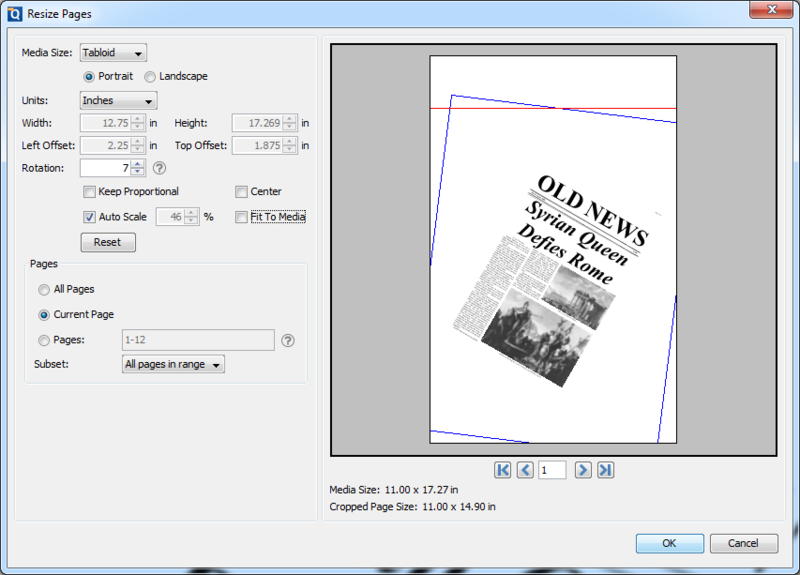 In the Print dialog, click Paper tab and select Paper size drop-down to change the paper size that you need. Tips: make sure to look at the Preview area before applying the changes.